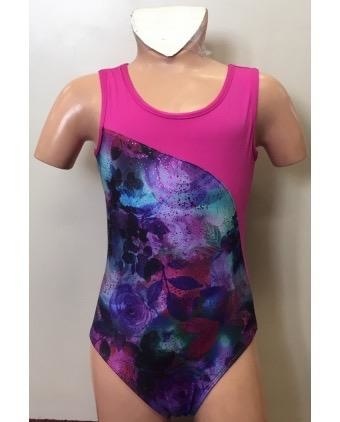 Child's Tank gymnastic leotard Fleur DeVie print with fuchsia accent. Open back with criss-cross strap accents. Polyester/Spandex material.